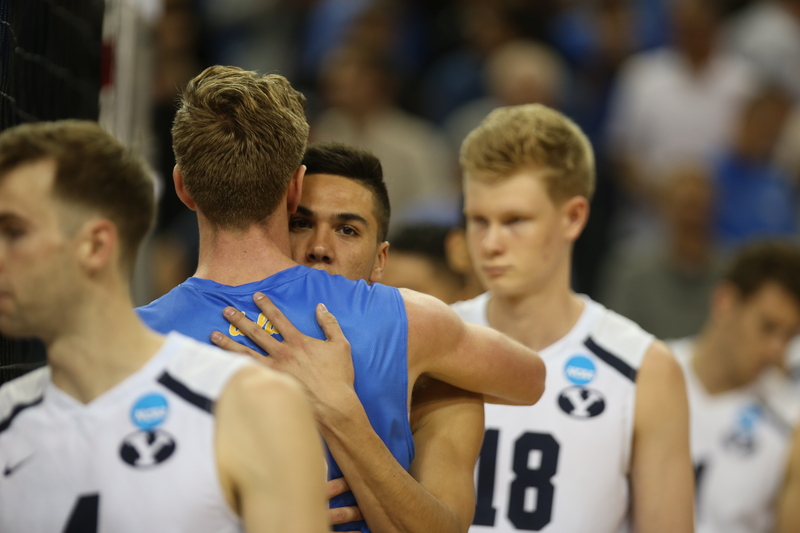 BYU men’s volleyball fell short of its third-straight NCAA championship game, falling 3-1 to host UCLA in the semifinals. The Cougars recorded 25 service errors and zero aces, losing the serving game to the Bruins. The game remained close early, with BYU at one point taking a 13-11 lead, and then the Bruins coming back to take a 15-14 lead. UCLA managed to take a 20-18 lead in the first set, but BYU remained right on its tail. A controversial out-of-bounds call led to a UCLA set point, which they converted to take the first set, 25-23. The teams remained neck-and-neck in the second set, with both squads coming out with energy and firepower. BYU managed to pull away a bit thanks to service errors, leading 14-12 in the second set. Service errors remained an issue for the Cougars, getting their 10th of the match in the second set and allowing UCLA to come back to tie the set at 16. After a red-hot hitting display in the first set, both teams cooled off in the second set, bringing their percentages down below .250. BYU was able to pull away and took the second set 26-24 off of a tip from Gabi Garcia Fernandez. A slow start from the Cougars allowed UCLA to open up with a 4-1 lead in the third set. Felipe de Brito Ferreira struggled serving in the match, getting his third service error early in the third set. Despite the serving errors, BYU was able to open up a 20-18 lead in the third set, thanks in large part to Garcia Fernandez’s 16 kills. UCLA came back to tie it at 22, followed by a series of set points for BYU. The Cougars were not able to capitalize on any of their three set points, and UCLA took the third set 29-27. UCLA came out with momentum in the fourth set, looking to eliminate the Cougars. 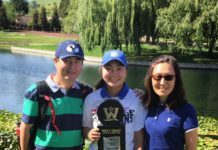 The Bruins led by three on multiple occasions, but weren’t able to put the Cougars to bed, fighting back after every run. UCLA finally extended its lead to four later in the set, ahead of BYU 19-15. They proceeded to expand the lead to five, with super-athlete Daenan Gyimah catching fire around the net. He finished with 13 kills and 6 blocks. UCLA kept up the dominant play, especially on serves, winning the match on an ace from Grant Maleski. After the match, coach Shawn Olmstead struggled to express his emotions in words, as did everyone on the podium after a devastating loss.